I’ve talked several times about what P2P (peer-to-peer) healthcare is. We have examples of PatientsLikeMe and CureTogether. This is something that Pew has talked about several times over the years. Additionally, here’s a blog post by Susannah Fox on this. The point is that people turn to Dr. Google and social media often before they talk to a healthcare professional. That’s critical to understand. Interestingly, as I was reading the IMS whitepaper on Journey Mapping, it really got me thinking about how all this social listening and patient content can influence and shape the Patient Journey (see example). We’ve already heard about the influence this channel is having on clinical trials. And, we know that Big Data trends are driving lots of new data sources for analysis and insights. I think this JAMA list is a good starting point. But, as Jane Sarasohn-Kahn points out, we can’t forget about the Open Notes initiative and the power that it will bring with it. 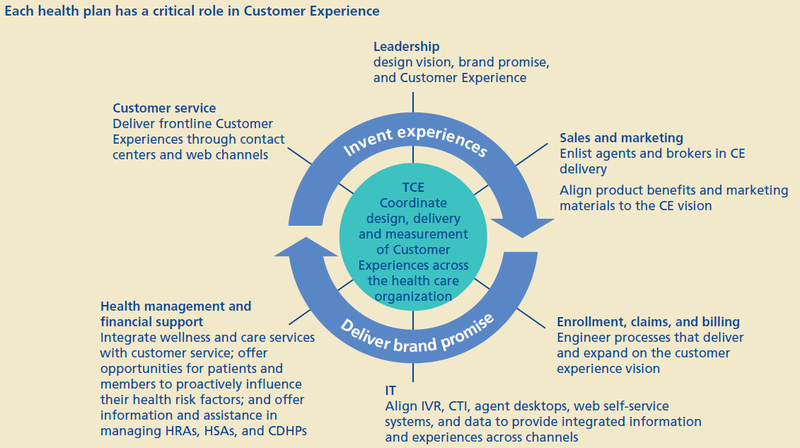 The question of course is how this will all be reflected in the way we think about the consumer in all the “patient experience” and “consumer engagement” hype in healthcare. 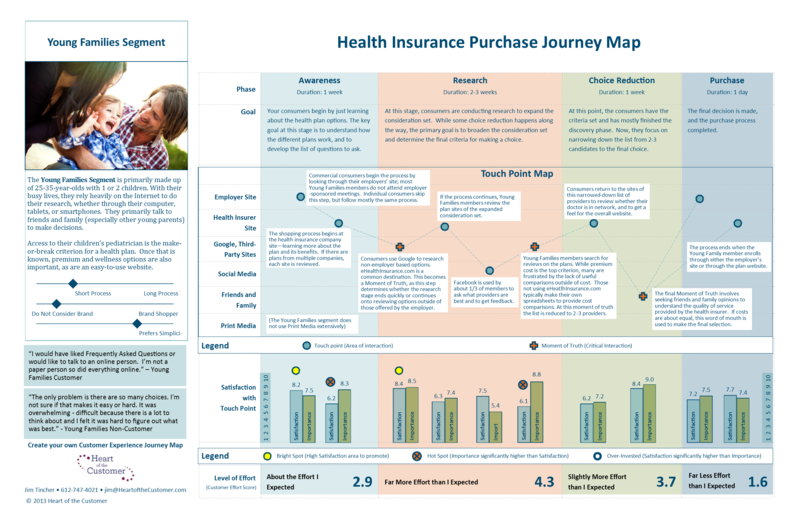 For example, this image from a Deloitte whitepaper shows some of the ways a health plan can influence the consumer experience. We all know this is tricky, and it’s critical to establish trust between the consumer and the entity influencing the journey. Health plans and pharmaceutical companies are usually not high on the trust scale. That being said, the IMS whitepaper does a good job of pointing out the need to expand beyond the traditional effort of focusing on key influencers. It’s important to understand the payer view and the patient view in new ways. It’s also important to understand what matters to each group. While adherence may seem like the right metric, I would argue that it’s simply the easy metric. It’s important to really understand the overall health of the patient. They care about their experience. They care about their quality of life. These all need to be factored into the patient journey.